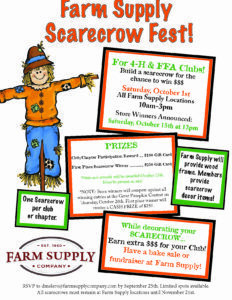 There is some scary stuff going down at Farm Supply this month! During the month of September, we are kicking off our scholarship fund by raffling off FOUR sheds. Attention 4-H and FFA Clubs! 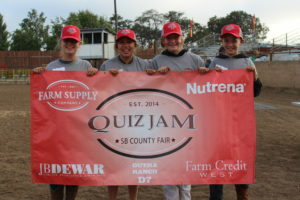 Farm Supply Company hosted their Third Annual Quiz Jam event Monday, July 11, kicking off the Santa Barbara County Fair. 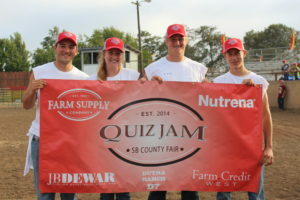 Farm Supply had over 200 contestants participate at their event. The event is divided into two divisions depending on the contestant’s age. The junior division consisted of 34 teams, ages 9 to 13 and the senior division consisted of 24 teams, ages 14 to 18. Fifty-eight teams in total competed with their eyes on the prize to win. The event is a timed, team event, challenging each four-member team with five agricultural related challenges. Stations included putting a tire on a tractor, roping a steer, vaccinating or ear tagging a calf, irrigation pipe fitting and dressing up in farm safety apparel. Congratulations to the top two teams from each division. Junior Division Reserve Grand Champion team, the Piggy Lovers; Summer Fanning, Grace Fanning, Colby Williams and McKinsey Grossinni. Junior Division Grand Champion Team, We Need Help; Grace Morrell, Emma Bishop, Grant Fieldhouse and Tessa Haws. Senior Division Reserve Grand Champion Team was the Mount Wanahakalugis; Emily Berman, Colby Newnham, Kris Camargo and Call McCarty. Grand Champion Team was the Hi-Tech Rednecks; Matthew O’Henley, Trevor Thompson, Lauren LLiff and Kyler Vernon. 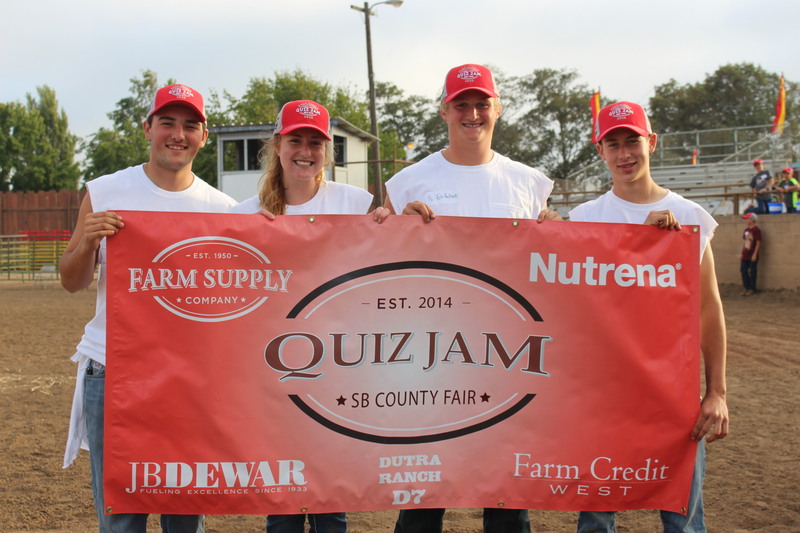 The night was a success for Farm Supply and junior livestock exhibitors of the Santa Barbara County Fair. Event photos are available on Farm Supply’s Facebook page. 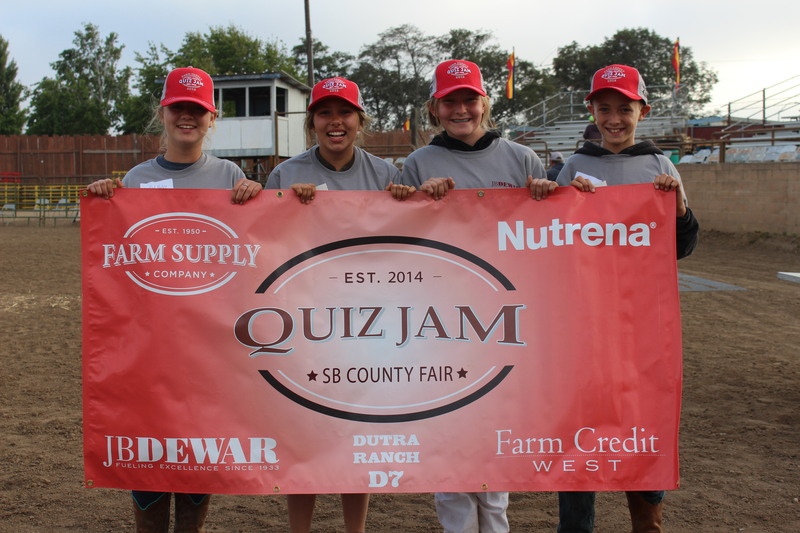 For any questions regarding Quiz Jam, contact Diana Melero at 805-543-3751 or email at dmelero@farmsupplycompany.com. When asked to write an editorial about Farm Supply Company, my first reaction was a bit over-confident. I have worked at Farm Supply a long time, am a veteran employee, and I’ve got this! Something about interspecies friendships touches my soul. If you know me, you probably already guessed this, based on how many photos I post of my two dogs snuggling with my cat. Is your dog itchy? 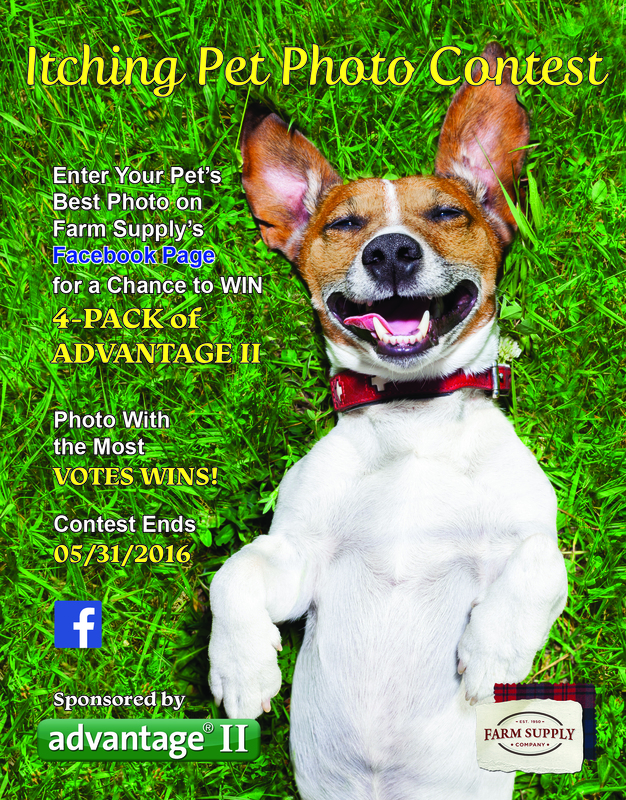 Just get a photo and enter it into the Farm Supply Itching Pet Photo Contest! Just go to our Facebook page to enter or click this link!